Tutorial from Medline Plus that's designed to teach you the basics of medical terminology. Displays competencies this learning resource helps you learn. You may click a competency to search all learning resources mapped to that competency. The number of available resources is displayed in parentheses for each. The Knowledge to Work educational goal source of the competency is listed to the right of the magnify glass on each competency. Click the magnify glass to view details about the source. or Register to add a note on or favorite this resource. Registering for your Knowledge to Work account is free and allows you to save your work! To help you learn more about the medical billing industry, and determine if it is the right career path for you, MedicalBillingandCodingOnline.com provides free online courses that will introduce you to the field. or Register to comment on or favorite this resource. Registering for your Knowledge to Work account is free and allows you to save your work! Homeostasis, Positive Feedback and Negative Feedback is a concept that all Anatomy and Physiology students need to grasp early on in their studies (Anatomy & Physiology Lectures). We take a look at this important topic. We also define the term health. Lesson 5 in our Introduction to Anatomy and Physiology series, part of our Anatomy and Physiology lecture series. 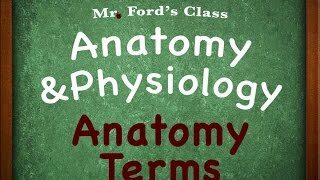 This video covers the basic anatomical terms you need to know in order to succeed in your A&P class. It is a concept that all Anatomy and Physiology students need to grasp early on in their studies (Anatomy & Physiology Lectures). 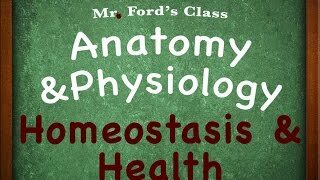 Lesson 2 in our Introduction to Anatomy and Physiology series, part of our Anatomy and Physiology lecture series. 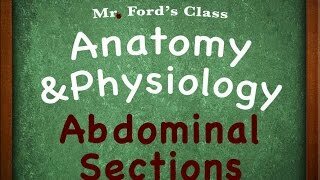 This video takes a look at how we divide up the abdominal. Specifically we look at breaking the abdominal area into 4 and 9 sections. Lesson 9 in our Introduction to Anatomy and Physiology series, part of our Anatomy and Physiology lecture series. This video covers the characteristics that all life has in common. It is a concept that all Anatomy and Physiology students need to grasp early on in their studies (Anatomy & Physiology Lectures). 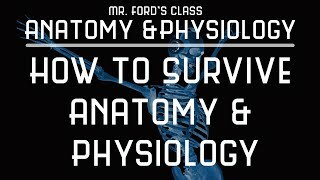 Lesson 1 in our Introduction to Anatomy and Physiology series, part of our Anatomy and Physiology lecture series. Body Positions in relation to Anatomical Position, is a concept that all Anatomy and Physiology students need to grasp early on in their studies (Anatomy & Physiology Lectures). In this video we take a look at how we talk about positions on the body. Lesson 6 in our Introduction to Anatomy and Physiology series, part of our Anatomy and Physiology lecture series. Inside the human body are a series of cavities, opening for various organs and structures. 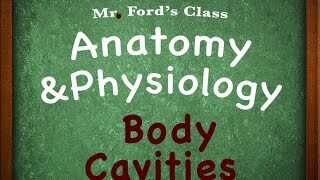 In this video we look at the body cavities. Lesson 7 in our Introduction to Human Anatomy and Physiology series. This is part of our Anatomy and Physiology lecture series. 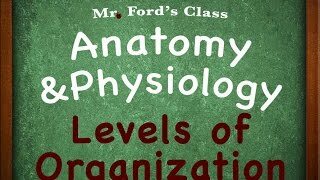 This video covers the levels of organization covered in all biology and life science courses. It is a concept that all Anatomy and Physiology students need to grasp early on in their studies (Anatomy & Physiology Lectures). Lesson 3 in our Introduction to Anatomy and Physiology series, part of our Anatomy and Physiology lecture series. Guaranteed to be in every Anatomy and Physiology 1 class, the organ systems sets the foundation for the study of systemic anatomy and physiology lectures. It is a concept that all Anatomy and Physiology students need to grasp early on in their studies (Anatomy & Physiology Lectures). Lesson 4 in our Introduction to Anatomy and Physiology series, part of our Anatomy and Physiology lecture series. 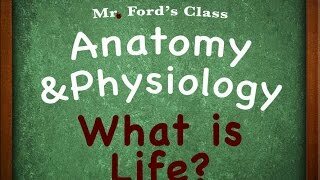 This video is the first in a series that are part of an online course in Human Anatomy & Physiology (Anatomy & Physiology Lectures). It covers introduction to Human A&P as well as gives some insiders hints to surviving Anatomy & Physiology. If you want to see more anatomy and physiology videos be sure to check out the completely FREE Lesson 01: Introduction to Human Anatomy & Physiology tutorial on my website. The lesson includes video tutorials on all the introduction materials needed for your class, as well as pdf notes to used in class, interactive exam reviews, and links to other helpful resources. This content is also covered in my new iBook on iTunes, search "Mr. Ford's"